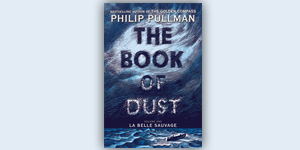 The cover of THE BOOK OF DUST: La Belle Sauvage, the first volume of Philip Pullman’s highly anticipated The Book of Dust trilogy, is now available. The cover was illustrated by Chris Wormell in his trademark woodcut style. The powerful illustration features a canoe named La Belle Sauvage being piloted through a storm by her owner, Malcolm Polstead, the hero of this new story. Chris Wormell has also created a different cover illustration for the edition of the book being released in the UK. Entertainment Weekly posted an exclusive online cover reveal on Thursday, June 29, and a feature article is in the publication’s July 7 edition. To read the article, click here. 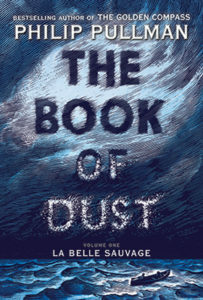 THE BOOK OF DUST: La Belle Sauvage will be published simultaneously in the US and UK on October 19, 2017. 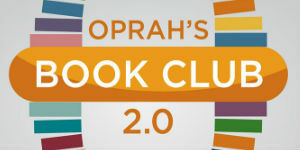 It will be distributed by Random House Children’s Books and its Alfred A. Knopf Books for Young Readers imprint in the US with an announced first print of 500,000 copies, and by David Fickling Books in association with Penguin Random House Children’s in the UK. La Belle Sauvage will be published in hardcover and ebook, and is available for pre-order now. 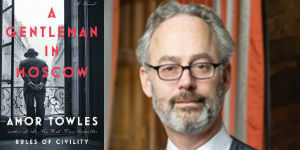 Listening Library will simultaneously publish an audiobook edition. Two decades after The Golden Compass—the first book of Pullman’s world-famous His Dark Materials trilogy, which has sold more than 17.5 million copies in over 40 languages—The Book of Dust (#BookofDust) will return to the parallel world that has enthralled readers young and old. La Belle Sauvage is set ten years before The Golden Compass and centers on the much-beloved Lyra Belacqua. Alethiometers, dæmons, and the Magisterium all return to play their part.